First grade students from Tryon Elementary recently collected cranberry sauce, canned vegetables, stuffing mix, toothpaste, rice and other non-perishable items to donate to Thermal Belt Outreach Ministry in preparation for Thanksgiving. 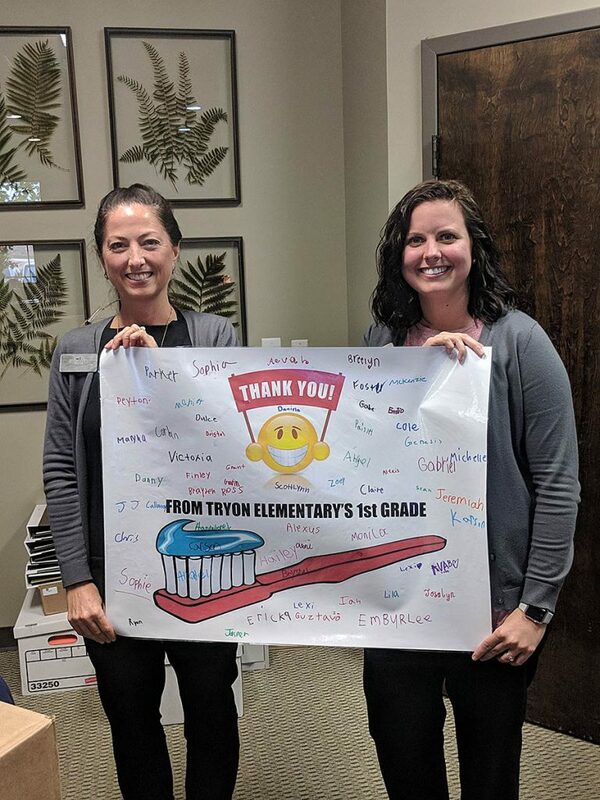 Wood Creek Dental generously donated adult and children’s toothbrushes for the students to donate as well. First grade students plan to tour the pantry at Thermal Belt Outreach before Christmas to conclude their study of wants and needs.